People starts to talk about it in the village… Some of you may have already tested… Since last week, Elsa Marie is running the Providence “pocket kitchen” at night, and serves surprising dishes! We wanted to tell you more about this brunette that you will see stirring behind the counter. Elsa began studying literature, but soon found herself at the French food school Ferrandi in Paris, one of the best. She started with pastry in a Parisian institution, the Grand Véfour (Paris 1er), and then migrates to Septime (Paris 11ème) where she discovers the more modern “neo-bistrot” cooking: everything is focused on the product and how to treat it with as much respect as possible. She worked as well at Cyril Lignac Atelier (Paris 3rd), where she taught cooking classes. Then, she discovers the Pères Populaires (Paris 20th). Here, it’s love at first sight: good food for everyone, at an affordable price, without pretension or ego conflict, that’s what all she was excited about! After this amazing experience, she flew to Australia to enjoy being hours on the beach for sure, but also to discover the secrets of natural wines, biodynamics, organic farming and permaculture. She went back to the Basque Country last year to see all her friends (who had already realized that happiness is here) and rent a charming little house in Bidart on Airbnb, which happens to be ours. She came for breakfast once at Providence and bingo: the dream of welcoming her as a chef ends up realizing for this season 2017. “Come on guys, let’s cook in 2 square meters, blindfolded, and on stiletto heels”: that’s what you can think about when you see Providence “pocket kitchen”. But Elsa loves challenges! This is what attracted her to the nets of Providence: this unpretentious little shop, 100% sincere, which exhibits talented artists and offers nice coffee (Lomi) in the morning with good homemade cakes. “Come on guys, let’s make some good food in the evening as well! ” That’s what she said. Providence offers you SINCERE COOKING, thanks to her wised advice, her experience and our love of good products. 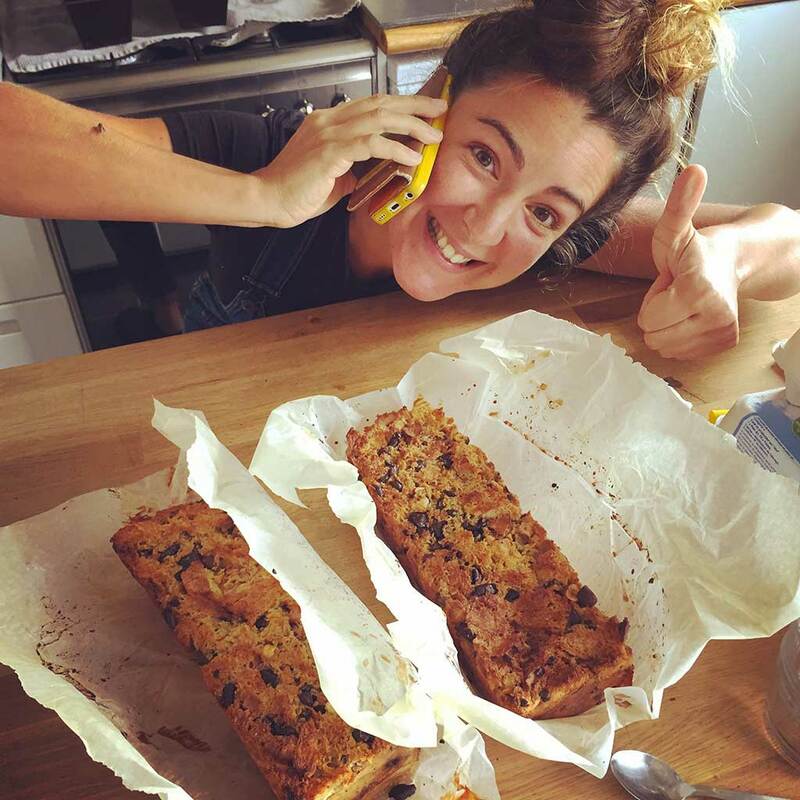 Everything is homemade by our team, using local and/or organic products that we have selected from traditional producers, mostly represented on the market of Saint Jean de Luz on Tuesdays and Fridays. We take full advantage of all what the Basque Country has to offer. And you fully benefit from a “surprise” menu that changes every evening according to what Elsa found on the market. In a nutshell, come and visit soon and spread the word! Evening opening hours: from Wed to Sat, kitchen is open from 6.30pm to 10pm (bar open until 1am). In July & August, we’ll open 7/7 in the evening. We’ll be open the Sunday, June 4th on the evening, cause it is bank holiday in France on Monday 5th. And don’t forget we are open for breakfast and lunch from Wed to Sun, 8.30am to 3pm (7/7 in July & August). This entry was posted in moments. Bookmark the permalink.